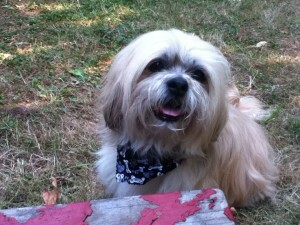 This is Leo the Lhasa Apso. I groomed Leo for over 10 years before he quietly passed away to the rainbow bridge one day during the summer. He now watches over his owner in spirit next to her art studio. Miss you Leo!